The Sheep Whisperer: One Cool Cat! Bobcats are truly some cool customers! Their ability to master their environment allows them to thrive in the wild ! Bobcats survive due largely to their uncanny ability to "fly under the radar." Bobcats are natural scouts and spies. By taking every precaution, they enjoy the distinction of being the most accomplished spy ewe could ever think of ! "Purr"..ty nice spot! I'm branching out my hunting expedition! 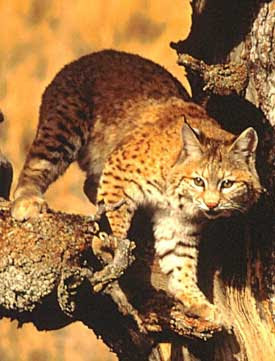 Bobcats are the most extremely challenging to hunt of all our wild creatures. 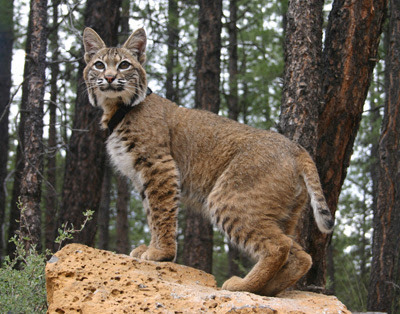 The Bobcat's phenomenal instincts and ability to adapt have served it well. .Their acute senses & suspicious nature, help fuel their belief that it is better not to be seen or heard! Bobcats, in the truest sense of the word, are "Born to be Wild"! Bobcats are the happiest, roaming in the territory God intended for them to be! Ewe Know I'm at the "Top of my Game", when I'm in the Wild! 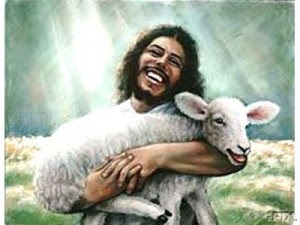 Sheep are truly happy & joyful as well, when they are roaming in the pasture designed for them by the Shepherd! Psalm 23 says , "He makes me lie down in green pastures.." If Ewe are a sheep, " Green Acres is the place to be"! That's where satisfying nourishment is available & Ewe will be the healthiest! When it comes to good food, I'm all ears! The Shepherd knows the BEST "Restaurants"! Shepherds long to lead sheep to places where they can eat & drink till they are satisfied! This is their joy & what they were created to do! TRUST ME! I know how to take care of EWE! 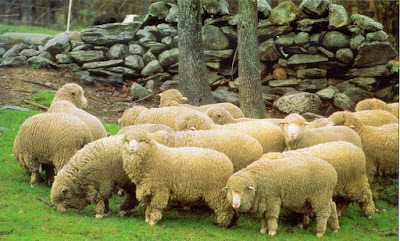 .As Ewe graze today in pastures that the Good Shepherd has prepared for Ewe, Rejoice! He knows what food is truly satisfying! Very cute blog! Love it! Also reminds us of our our loving shepherd who loves us unconditionally! Thanks Cecilia for ewe-r kind words! Ewe have a great insight into our loving Shepherd! 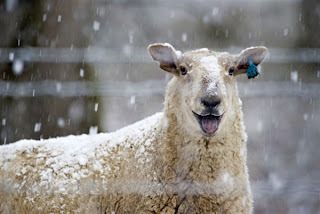 I'm glad ewe were blessed by the Blog & hope it continues to bless Ewe.God Bless Ewe & ewe-r family! Ewe are welcome, Anonymous!I pray the Lord continues to encourage Ewe through the Blog. God Bless Ewe!